Investigators say a woman arrested for a fire that severely injured a Fresno fire captain has a history with fire. 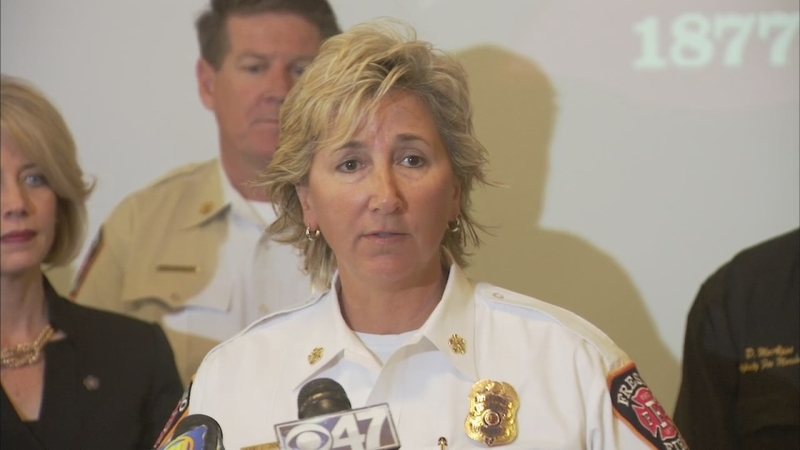 FRESNO, Calif. (KFSN) -- Investigators say a woman arrested for a fire that severely injured a Fresno fire captain has a history with fire. Julia Harper, 52, is jailed on charges of setting a fire causing great bodily injury. Fire Captain Pete Dern was nearly killed while trying to put out the fire Harper allegedly started. Dern has received best wishes and financial support from around the world after a video spread like a virus through the Internet. Trying to get a fire under control, Dern fell in as the roof collapsed and suffered second- and third-degree burns. But he's attacking his recovery with the same determination that made him such a popular figure in his own department. "He was in good spirits when we saw him on Monday," said Fresno Fire Chief Kerri Donis. "He was surrounded by friends and family. He's talking. He's very committed to getting out of the hospital." Julia Harper, 52, has been arrested on arson charges for the fire that injured Fresno Fire Department Captain Pete Dern after he fell through a garage roof while battling the flames. Almost four weeks after the fire, Dern's co-workers were at the hospital again, but this time to report an arrest. Julia Harper is one of the people who were in the house when the flames erupted and Wednesday, investigators say she admitted to setting the fire. They're not revealing too many details, but they're confident they have their fire starter. In fact, Harper is no stranger to fire. Six years ago, her boyfriend showed our Bakersfield affiliate the burns he suffered in a fire that landed her in the hospital with severe injuries to her face. After her release, both Harper and her boyfriend moved to Fresno and the house where Dern suffered his fall. And her history helped investigators figure out what happened. "And I talked with her extensively about that incident yesterday. So it helped inasmuch as just getting to know her a little bit more," said Deputy Fresno Fire Marshal Don MacAlpine. 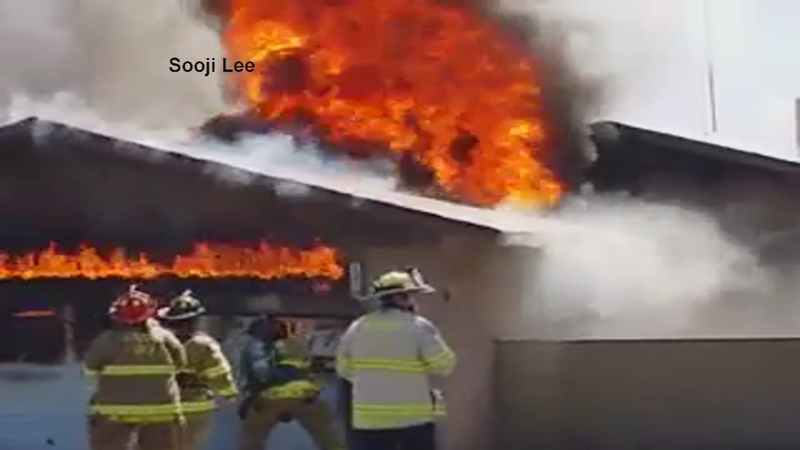 A firefighter fell through the roof while battling a fire at a house in Central Fresno on Sunday afternoon.